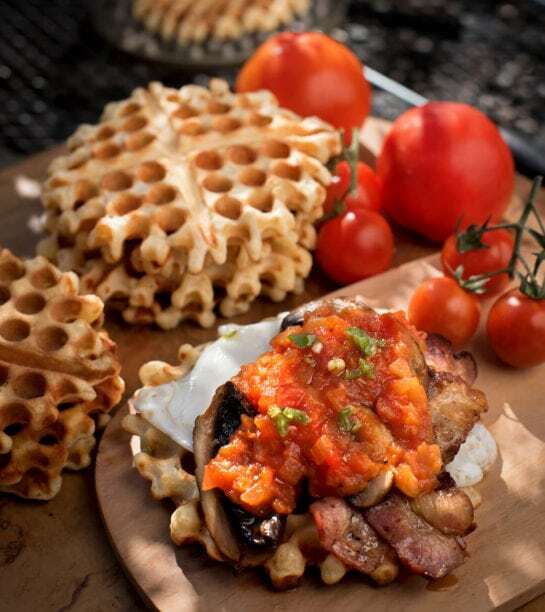 After a game drive replete with sightings of animals grazing and browsing, you may well be feeling a little famished. Not for long, as your RockFig Safari Lodge bush dining experience lies just around the next corner, and it’s certain to be a feast for all the senses. Bon appétit! 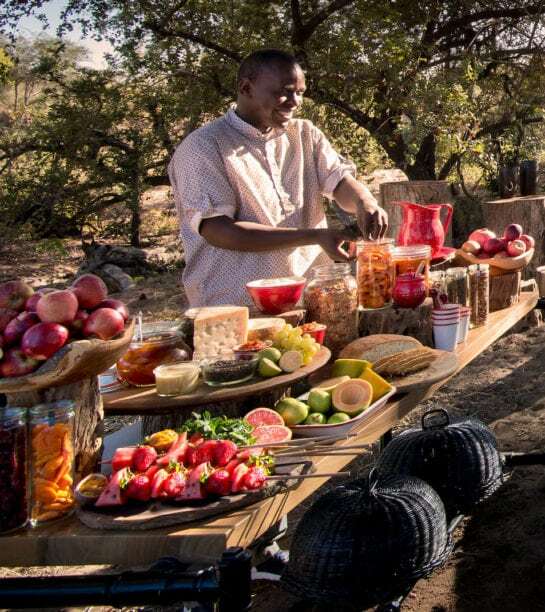 We don’t like to give away too much about bush dining at RockFig Safari Lodge, because the element of surprise adds so much to the experience. 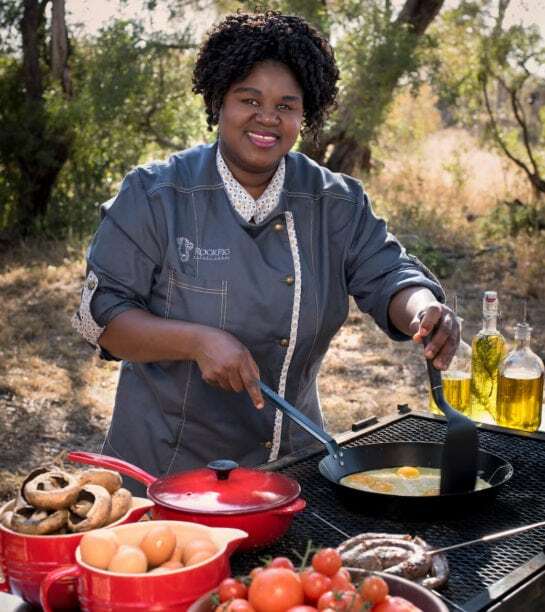 But suffice to say al fresco dining in Timbavati is all about how the finely laid table and delicious food contrast with, and complement, the rustic setting and stunning views. Even more than the lodge-dining experience, this is a quintessential safari experience. 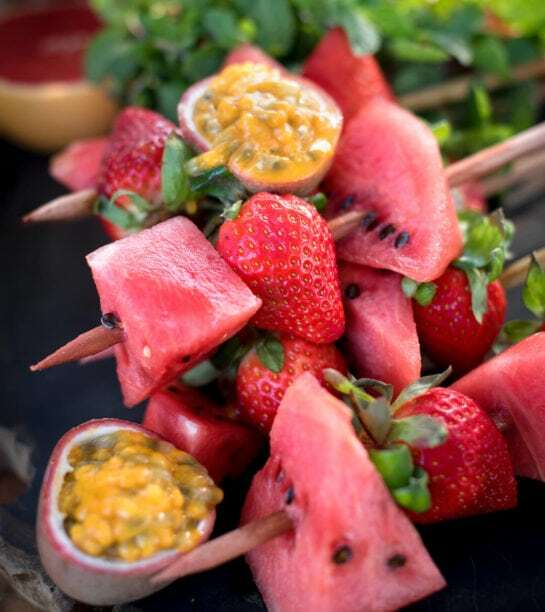 Whether you discover your dining table beneath the spreading branches of a tree or in a dry riverbed, the standards of service and cooking will be just as high as at the lodge – but with even more delightfully quirky bush touches. It could be a bush brunch or dinner (honouring the South African tradition of the braai), but bush dining is an always opportunity to discuss sightings … and possibly tick off a few more, as there’s every chance that wildlife will be drawn to investigate the gleaming silverware or flickering lanterns. While this possibility adds to the excitement and authenticity of the experience, rest assured you’ll be perfectly safe in the hands of the safari veterans that make up the RockFig team. Blankets and the campfire provide warmth on clear, starry nights, while the exhilarating return game drive to RockFig Safari Lodge – when the bush comes alive with nocturnal creatures – will ignite your primal instincts. 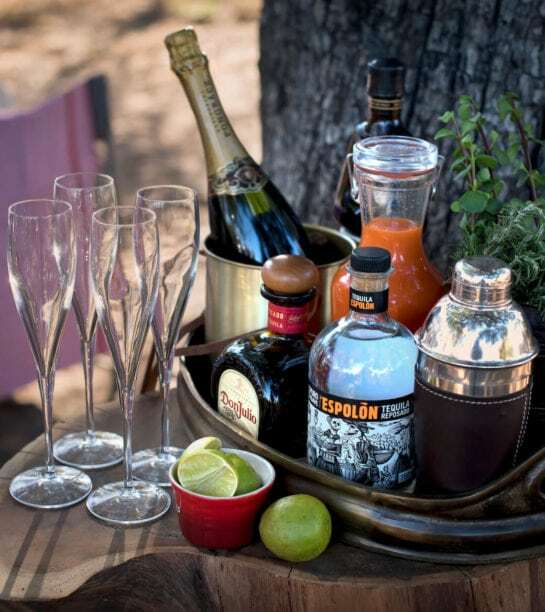 Whether you choose a Bloody Mary before breakfast or an Old Fashioned cocktail after dinner, drinks as well as food taste even better in the bush.